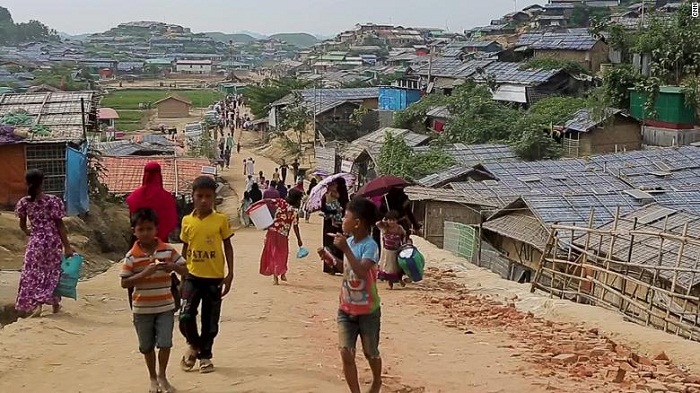 The governments of Bangladesh and Myanmar's plans to start repatriating Rohingya refugees from the Cox's Bazar area ran into difficulty when not a single Rohingya volunteered to return. That's no surprise considering it was only a couple of weeks ago that Marzuki Darusman, chair of the UN fact-finding mission on Myanmar, described the situation inside Myanmar as "an ongoing genocide" against the Rohingya, a Muslim minority in a Buddhist-majority country. The small proportion (less than 30%) of the Rohingya people left in Myanmar -- those who have not already fled over the border to Bangladesh since August 2017 -- continue to be subject to arbitrary violence by state authorities and non-state militant groups alike. And nothing regarding the legal and social environments which enabled the military's original "clearance operations" in the northwestern state of Rakhine have changed. International relief organisations and humanitarian observers have largely unfettered access to the camps in Bangladesh and can offer support both to the refugees. Most of these organisations, however, have been banned from Myanmar. In addition, the individuals inside Burmese institutions and civil society organisations who orchestrated this genocide must be fired and held accountable before international tribunals. But the highest priority must be given to ensuring the safety of the remaining Rohingya people. And realistically, for the foreseeable future their safety can only be ensured by the international community -- who only have access to Bangladesh, not Rakhine State. And so far as it is possible, the international community must seek to recover the costs of this endeavor from those who have instigated the ethnic cleansing of the Rohingya from Myanmar: the Burmese government and the military leaders who, incidentally, also control most of Myanmar's wealth.